Welcome to our Members in the Spotlight page where we feature notable Armenian Bar Members. Ara Jabagchourian is an award-winning lawyer whose verdicts have been recognized as some of the highest and most impactful in the country. He is also a lecturer and an author of two dozen legal articles. 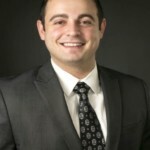 Based in San Mateo, California, he practices in the areas of business disputes, fraud, class actions, wrongful death, false claims, personal injury and more. Q: You have distinguished yourself rather rapidly in the legal profession and have been deserving of several acclaimed awards, including being heralded in the Top 100 Verdicts in the United States by the National Law Journal, the Top 100 Attorneys by Super Lawyers of Northern California, etc. What is the recipe of your success? A: There is no recipe. You have to be willing to play a long game. Learning never stops. If you are looking to litigate and try cases, start by working small cases yourself and glue on to someone who is litigating and trying more complex cases. I used to nudge/complain/demand to try cases early in career, even if it was only to take on a couple of witnesses because I used to argue to my superiors that by turning 26/27/28/29/30 years of age, I don’t somehow gain all this trial knowledge just by hanging around. You have to actually do the work to understand it and build confidence. Unfortunately, this is getting tougher to do in the civil realm, as cases are either settling or in arbitration, with the exception of injury and employment matters. Contribute to the legal scholarship. I was always told that I was a weak writer early in my career. To deal with this problem head on, I began publishing articles in legal periodicals, including three law review articles. I think I have published over two dozen at this point. I try to take an unpopular position and see what gets shot back at me. Get your name out there. Speak at seminars. Again, none of this is for a short-term gain or even a long-term gain. Constantly improve yourself as an attorney and as a person. ​Don’t be afraid to take on cases outside of your area of specialty. I am a fond believer that people’s problems aren’t specialized, so your practice shouldn’t be either, especially if you are a young attorney. Litigation is litigation, trial is trial. You can learn the substantive law. Invest in practice guides and do it. My first class action I ever worked on I tried before a jury. Apparently, class action lawyers go through their entire careers never trying a case. Q: You said in one of your prior interviews: “Try to be the best you can be in everything you do and to teach and pull others up while doing it.” Can you explain what sounds like the Jabagchourian code of professional ethics and life in general by giving real-life examples? A: You got that right. My father Jirair and mother Aroos drilled this into us at a young age. My father would get upset with people who held onto the concept “Jack of all trades and master of none.” He thought that there was absolutely no reason why my brothers and I could not be strong mathematicians, athletes, mechanics, students, comedians, etc. However, he was opposed to the memorization method of excelling. My mother was the same. She thought you could not be a valuable member of society by merely studying in your room. The expectation was to do well not only for yourself, but for your family. Both my parents led by example and were involved in AGBU, the church, coaching our Armenian and non-Armenian sports teams, school functions, etc. Knowledge and experience were always viewed by my parents as something to share. At my prior firm, I don’t know how, but I ended up mentoring almost every young lawyer. I still get calls from staff at my former office asking me questions. They knew I would not get upset by any question and would gladly not only explain what needs to be done but give them examples. Such examples would include how to deal with a document at trial, or a cross examination of an expert. I would make it humorous to the extent I could, so that way they could remember it better and lighten the mood. I tried to have others feel like it was something that can be fun if done creatively. I always love hearing how it went and how they felt afterwards. To the extent possible, I try to give up and coming Armenian law students some experience they otherwise would not get elsewhere. I can proudly say that a couple young Armenians that have passed by my way are doing great in their careers. I am not claiming any cause and effect but am proud to see them develop into powerhouses in their own right. Q: Born and raised in Fresno into an Armenian family where language, culture and heritage appear all to have been present, tell us something about your family– those who came before you and the one you and your wife Lori created. A: I tell you, I wish I knew what I was getting when I was growing up so I could have appreciated more. My parents came out from Aleppo in the late-60s, got married in Beirut and ended up in Fresno. We grew up in a working class neighborhood. Although my father was an auto mechanic and my mother raised three Jabagchourian boys and handled the books of the family business, critical thought was always raised on every topic imaginable. We were expected to develop a business sense, athleticism, street smarts, abstract thought, social skills, and a tough skin (stoicism). There was also the tension of being “Armenian” and also being “American”. You could tell, it was something my parents struggled with back then, as well as my wife Lori and I do now with our three boys. I went to non-Armenian schools during the week. My mom would drive us to Armenian language classes on Monday nights and to Sunday school at St. Paul’s on Sundays while she sang in the choir. My father used to teach Armenian language classes. My parents put it upon themselves to keep us connected to the various Armenian communities in Fresno, while at the same time my brothers and I tried living our lives as kids in Fresno. My father would direct Armenian plays and my brothers and I always ended up with some role of the young son or kid. He would end up barbequing shish-kebab at the Fourth of July picnics, with us selling tickets or running the bingo. Our parents wanted us to do everything possible. Ultimately, they wanted us to be well-rounded. As we got older, my brothers and I were involved with the Armenian Studies program at Fresno State, where my younger brother and I both were editors of the Armenian Studies campus newspaper Hye Sharzoom. We balanced that with our class loads. ​I think my brothers and I felt an obligation to our parents to be the best we could be given that they had to give up so much to come out to the U.S. to give their future children a shot at a better life. All three of us got graduate degrees of some sort and continue to strive to make things better than the way we found them. ​My parents were right, I did not know a damn thing when I thought I knew everything. This became especially evident when we started to raise our three sons. My wife and I are struggling with the balance of what is best for them versus involvement in the Armenian community (to the extent that is actually a dichotomy). Trying to preserve what we think being “Armenian” is today is an ongoing process. We try our best to lead by example. Although it is not hands-on like pumping gas and doing oil changes, I take my kids to court when they have days off from school. I always say I can explain to children what a doctor does, what an engineer does, what a carpenter does, etc. but try explaining to an eight-year-old what a trial lawyer does. The best solution I have come up with is take them to court with me. A side benefit is that a judge is less likely to berate you when you have three of your sons sitting at counsel’s table. Q: Aram, Shaunt and Garo–your three sons. Tell us why you and your wife decided that they should carry those names in the great melting pot of America. And as for your name, what challenges and opportunities have come–particularly as a litigator–with an ethnic last name composed of 13 letters? ​A: Monte Melkonian was right, assimilation of the Armenian culture is quick in western Europe and the United States. Lori and I figured one place to start to, if not to slow down assimilation, but to at least create a distinction, is by retaining typical western Armenian names. Inevitably, someone will ask the origin of the name. At a certain point, saying “I don’t know” won’t cut it. ​As for the last name, my father said it was a blessing or a curse, depending on what you do. It is a blessing in that if you do well, they won’t forget your name. It is a curse in that if you screw up, they won’t forget your name. ​With all candor, I think what Governor Deukmejian and Justice Baxter had done in this state made having my last name an opportunity. Every time I went to court, the expectations were high based on the work of my Armenian predecessors. I never went in, even on what appeared to be “slam-dunk” hearing, unprepared. It was by design, that if you see those thirteen letters on the pleadings, expect a fierce fight, even if I’m going to lose. I want to establish an expectation of excellence for Armenian lawyers. Ideally, I want Armenian lawyers to walk into a courtroom and everyone in there (judges, clerks, jurors, opposing counsel) to say, “this is going to be good.” But this is not going to happen unless they put everything they got into it. Q: If you had the chance to take advantage of a do-over as a lawyer, what would it be? ​A: I actually have no real regrets in my career. It has all been a learning experience. However, two things stand out as situations where inertia played a role in staying in a position too long. One job I had was working as an associate at now bankrupt Howrey, LLP. I joined the firm from the Federal Trade Commission after President Bush Jr. got elected in 2000. I immediately saw that I was going to get very little experience and was just a cog in a pyramid billing machine. I stayed nearly three years and should have left after six months. I then joined a plaintiff side firm in the Bay Area. I initially planned to get a couple years of trial experience and go find something else. It turned into a prolific stint of nearly twelve years. I was able to develop myself into the lawyer I knew I could be. I then hit a ceiling at the firm as a partner and started to become unhappy with my role. Again, inertia played a role and probably stayed 18 months to two years too long. ​Lesson that I have gained – if you are unhappy with how your career is going, try to change it. If it isn’t changing to your liking, get the hell out of the job as soon as possible. Life is too damn short to be unhappy. Q: You have mastered the complicated science, and some would say art, of civil litigation in several areas, including financial fraud, personal injury, business litigation, and employment matters. How did you get into these areas of practice and what is it about them that keeps you motivated? ​A: First off, “mastered” is a strong word, and not one I would apply to myself. I started off wanting to be an antitrust lawyer. I loved the economic theory that went with it and joined the Federal Trade Commission in Washington D.C. straight out of law school. I was able to get high level depositions right out of the gate. However, with the election of President Bush Jr. in 2000, the thinking was that there was not going to be much antitrust enforcement under him. So, I joined private practice in the field of antitrust law and got a lesson on the negative side of private enterprise. I was nowhere near the deposition room, let alone the courtroom. I realized, that if I wanted to be the leader on a case, this plan of working up the corporate firm ranks was going to take too long and was not a cultural fit for me. There were too many layers of approval before you could pull the trigger. I was never good at being told what to do. ​So, I joined a firm that did small to large cases on the plaintiff’s side in numerous areas of law. Again, I did not quite know what I wanted, but clearly knew what I did not want. I had to rebuild myself, took a pay hit and started working on small matters at the firm. I was not sure if I would be a good lawyer in the courtroom, but figured I had to try it and see. When I had the chance, I found I really enjoyed it. My first trial was a fraud case. My second trial was a wrongful death case. I did not know what I was doing, but I read what I could and listened to the senior partners on what they would do. Eventually, I started developing my own style and would jump on the chance to work on any type of case that was being litigated. I decided at that point, I will not specialize in any practice area, but try to be a small country generalist in the big city. Q: How much of what you do is spurred on by the possibility of generous financial rewards? Does social responsibility have a role in your practice? A: Early in my career, money meant zero. I was fortunate in that I kept my law school debt low, so I was not forced to work a job I did not want to pay it off. I joined the Federal Trade Commission in Washington D.C. making $42,000 a year. I figured, before I developed any real financial obligations, this was a chance of a lifetime, and my parents were very supportive of it (other than the fact that it was 2,500 miles away from Fresno). After a few years, reality hit when I got married and had three sons, two of whom go to school for children with learning differences. So, there is a certain financial threshold that needs to be made to sustain that education for my children. But outside of that, Lori and I have lived a pretty spartan lifestyle that allows me to do some unusual cases. I did not become a lawyer to be wealthy, I did it with the idea of creating change. So, I will try to take on about a half dozen “pro-bono” cases; ones where I may have a shot at making change in the law or helping someone out on a case that no one will touch. However, the real reason I chose to start my own firm is I wanted to have as much control in my hands as I could on what I can do as an attorney. I find the older I get, the less tolerance I have of others telling me what to do. I could probably make more money working as a partner at a firm, but I rather do it my way (Frank Sinatra playing in the background). My motivation is self-created. I have always had a chip on my shoulder, and it has never gone away. When opposing counsel claims I will never be able to do “x”, they don’t know that all they have done is pour jet fuel on the fire. It may be an immature approach, but what I can I say, I like pizza and ice cream. Q: In your experience, what is the best and what is the worst in the legal profession as a whole and in your practice specifically? ​A: The best part of the practice, the part that really makes me smile, is working with very experienced lawyers that know where the case is going to end up and hurdle the entire process and try to get the case resolved without churning the clients. Unfortunately, I can only count a few times where that has happened, but those attorneys on the other side have become lifelong friends. Q: How do you balance work life with family life, or is it a constant struggle? ​A: The first step I took was starting my own practice. I never sat down to have dinner with my wife and kids when I was a partner in a firm during the work week. I saw the two senior partners in their successive marriages, their kids calling to ask for a hand outs, the heavy drinking, etc. I figured this was not optimal. ​We had a small kitchenette table at my home where the family had dinner. After I started my practice and came home to have dinner with the family for the first time, it hit us that the table only sat four people. My wife immediately ordered a table that could sit all of us. This was the first material thing that brought the work/life balance into perspective for me. ​I was also able to coach my kids’ soccer teams, as my father did for me. I may not be bright, but I understood soccer. I figured I can at least impart this knowledge to my kids and the kids in the community we live in (apparently my working class style of coaching stands out in the Bay Area). With my own firm, I did not need to provide “face-time.” I could edit briefs at 10 p.m. or 4 a.m. So that was another lifestyle change with no regrets. ​But there are times where I am still in the office over the weekend, not because someone told me to be there, but because work needed to get done. Even with the hectic schedule, every once in a while Lori and I will remind ourselves we were spouses before we were parents. Ultimately, you do your best and try not to over-extend yourself. Q: You have become a role model to many. Who have been your own role models in life and in profession? A: First and foremost were my parents. They are the ones I first looked to for guidance, even when I began rebelling as a young child. I had an early opportunity to watch my father and mother interact with others at our family business (garage and gas station). I saw how my parents interacted with the general public, hostile customers, vendors, people from every economic background, etc. I would also watch television with my parents; such shows like “60 Minutes” and “Phil Donahue” when I was young. People like Ralph Nader would come on and my folks would gush about how this Lebanese guy (not accustomed to seeing folks from the Middle-East turn up on television in a positive way) would act to benefit society and make change that saved thousands of lives. Or Noam Chomsky, who would speak truth to power, and discuss views that are not routinely raised in main stream media. Funny how these guys rarely come up on television now. I also ended up admiring women and men that were independent and spoke out. They would say things that would not be in their economic interest but could not go along with the charade that did benefit them. I don’t know why, but I always held an affinity for them and always tell myself that when I grow up, I want to be like them. Q: What words of wisdom would you convey to law students and young lawyers? ​A: To the extent you can financially, build up your experience first. Take the federal government job if you can get it and train. You will handle more complex work and get more experience than you could if you went straight to private practice. If not, try to work at smaller law firms, where you will be given more responsibility and take on the small cases. Don’t be afraid to try cases. Q: You have taken on an increasingly-active and public role in the Armenian Bar Association, helping organize some of the Association’s recent annual gatherings and anchoring some very interesting CLE programs. Why the Armenian Bar Association and what has it come to mean to you? A: I take great pride in seeing Armenians do well in anything. When I was growing up, at least in my mind, success was not defined in how well someone did relative to others in the Armenian community, but rather in the greater community. When an Armenian made it, you knew it was on pure merit, because no one was out there early on making sure Armenians succeeded. While in high school, my buddies could give a damn about the inventor of the MRI or the designer of the MIG jet. But I’d be damned if they didn’t know who Jerry Tarkanian was who led the best basketball team in college history in 1989 and 1990. An added bonus, he was from Fresno. Then I see folks like George Deukmejian and Marvin Baxter get out there and start to eye ball and bring up the best we had to offer, at least in California. All of the sudden, the general public starts to recognize the contributions Armenians can make in the legal field, even though our numbers are low in terms of the general population. I want to raise the bar for what is expected of Armenian attorneys and then help them get over it. I do what I do for the Armenian Bar Association (which with all candor has not been much), for no other reason than to be able to say that Armenians as a community can make the general legal community better. 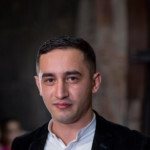 This interview was done by Narek Chobanyan, who is a student at UC Berkeley School of Law and a graduate of the American University of Armenia. He is specializing in Technology and Intellectual Property Law. 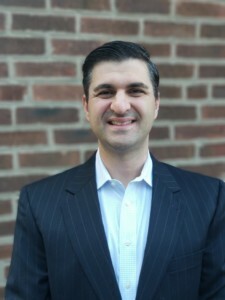 Mr. Minasian, now in his 15th year of practice, has an accounting degree from DePaul University, is a licensed real estate broker, and a registered yoga instructor. 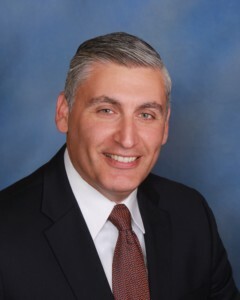 Based in Chicago, Illinois, he practices in the areas of real estate, estate planning, tax, litigation, business & corporate matters, start-up companies and more. Q: Give us a glimpse of your family background, your parents and grandparents and of life in the Minasian home growing up. A: It was a circus! Growing up with 3 younger brothers, we loved to wrestle each other and crash into furniture, accuse each other of perpetual cheating whether we were playing monopoly or running a race, we destroyed houseware and made numerous hospital visits, and we even had a batting cage in our backyard until the neighbors complained and the city shut it down. My poor mother had to endure the chaos of four boys and just pray that nobody got seriously injured. And we ate like horses—my dad always said he’d rather buy us a wardrobe than food. About the time I turned twelve, we moved from the Chicago suburbs to Arlington, Texas and my dad became the visiting clubhouse manager for the Texas Rangers Baseball Club. I like to say that my brothers—Perry, Calvin and Zack, and myself—“grew up in the clubhouse.” We maintained the locker room, did laundry, food service, bat boy and ball boy, and otherwise took care of the baseball players. When the baseball team traveled and school was out, or during the Christmas holidays, we would always go back to Chicago and stay at my grandparents’ house. I also went to Midwest Regional Hye Camp for a number of years. I started going in the early 1990s, when camp was on Lake Pleasant in southern Wisconsin and took place in early August, and was as fun of a week as any Armenian kid could have. Hye Camp was known for the delicious food – katah for breakfast, boureg at lunch, sarma for dinner, all made fresh by the moms who volunteered for the week. The campers would stay up all night and cause mischief while avoiding the octogenarian night security guards who would intimate us by threatening to tell our grandparents on us! When I was 17, I accidentally became the cook, and figured out how to feed 210 people, 3 meals a day for the entire week while keeping the food reputation in tact. My kitchen staff was primarily Armenian moms that knew more about cooking in their pinky figures than I will ever know. But I managed, and that lasted several years and was a wonderful experience. Camp was the foundation for countless friendships that I’ve cherished for almost 30 years, and Perry even married a fellow ‘Hye camper,’ and now his daughter goes to camp. It remains near and dear to my heart and through all those years growing up in Texas, detached from most things Armenian, Hye Camp was my lifeline to the Armenian community. Q: Some of your family members work at the highest levels of Major League Baseball. Tell us about that. A: My dad was the clubhouse & equipment manager for 20 years, Perry is currently vice president and assistant general manager for the Atlanta Braves, Calvin works for the Washington Nationals in the home clubhouse taking care of the players, and Zack is with the Milwaukee Brewers as a special advisor in the scouting department. My dad used to have a banner in the clubhouse that read “your worst day at the ballpark is better than your best day at work.” There are almost 115 years of professional baseball experience between the 5 of us, not including my mom, who has seen more baseball games than most of today’s professional players. We all live vicariously through each other and talk multiple times daily. I’m extremely proud of my brothers and all that they have accomplished, washing socks and jocks before they were teenagers and now running entire departments with multimillion dollar budgets. My parents did an amazing job raising us and creating opportunities that no other kids had. Q: And what about Tommy Lasorda, former manager of the World Series-winning Los Angeles Dodgers? What’s the story behind your special relationship with him? A: In the early 1960s, my grandfather, Edward Minasian, managed the banquet hall at the Ambassador Hotel in Los Angeles. LaSorda was Dodger scout who would entice a draft prospect to sign with the Dodgers by taking them to the Ambassador to see big entertainment acts of that era, and quickly became best friends with my grandfather. As a teenager, my dad managed LaSorda’s clubhouse in Ogden, Utah, when LaSorda first became a minor league manager. LaSorda and his wife Jo are godparents to my youngest brother Zack and is like an uncle to me. Q: Did you initially have any career aspirations other than law and what ultimately motivated you to choose the legal profession? A: I still don’t know what I want to do when I grow up! I started undergrad as a computer engineering major and eventually graduated in accounting, and then attended law school. My focus was less on a career and more on the challenge and risk of trying something that I didn’t think I could do. There were no lawyers in my family so I had no mentor to model a career after. But as the saying goes, when the student is ready, the teacher will appear. Unexpectedly, I had the opportunity to do an externship with Federal Judge Charles P. Kocoras and I was extremely fortunate to be able to watch how he worked and how his actions and decisions seemed so effortless and logical but so impactful. His compassion, his demeanor, and his sense of humor really showed me not only what kind of lawyer I wanted to be, but what kind of person I wanted to be. My experience in his courtroom confirmed that law was the right career path. Q: Knowing of your passion for real estate transactions, business innovation and deal-making, what or who provided you with the inspiration and the opportunity to take that path? A: There are countless people and situations that have consciously influenced my life and have supported me over the years. Speaking truth, negotiating, and a willingness to work hard—I owe to my dad, and there are days where I love to be back working in the clubhouse with him. My mom is an amazing and beautiful soul that has endless resilience and compassion. My brothers are all so good at their work that they inspire me to exceed all expectations I have of myself. Harry Missirlian, who I worked under for 10 years, has a brilliant legal mind and is truly fearless in the way he approaches a case. He really helped me find my fit by exposing me to a number of areas of law and allowing me to carve out my own career path. We handled criminal, corporate, personal injury, family law, civil litigation, estate planning, tax matters, and other areas, and had a number of crazy cases over the years. Karnig Kerkonian and Elizabeth Al-Dajani, who I’m in touch with on a daily basis, are both so accomplished and so impressive in the quality of their work that make me want to be a better lawyer. I’ve taken lessons away from many of my elderly estate planning clients—I’d go visit them in their homes for hours and listen to them tell stories about their childhood, immigrating from another country, difficulty with their children, health issues, etc.—well beyond the scope of a typical estate planner. Problem solving is one aspect of my work, but holding space for someone who simply needs to speak their peace really creates a connection with a client that develops a long lasting relationship. Q: Describe for us a day in the life of lawyer Rudy Minasian? A: It depends. I have a 3 ½ year old daughter and a 15-month old son, so I usually wake up to the pitter patter of little feet stumbling into my bedroom at around 6am. I have a true general practice and handle most everything on my own, so when I’m not doing legal work, I’m maintaining the administrative side of my practice. Some mornings I’ll jump on the computer and work from home all day, drafting contracts or estate plans, or reviewing real estate documents or prenuptial agreements. I’ll go to the office on ‘phone intensive’ days, and if I have a lot of reading to do, I’ll go to a bookstore or a library. Some days I catch a 7 am train to go downtown for a morning court hearing, or drive 60 miles to meet with a client who needs an assessment of their business operations. I really enjoy the variety of work and the constant change of environment. There is a lot of multi-tasking, and I probably address 20 substantive emails on a daily basis. Being a solo practitioner, I have 3 jobs- running the administrative side of the business, bringing in the business, and working the business. I probably put in more overall hours than I would working at a firm, and like any career, there are good days and bad days, but my reward is that I’m home for dinner every night with my wife and kids, I can squeeze in hobbies during the week, and I rarely have to work on weekends. Q: And how about a day in the life of non-lawyer Rudy Minasian? A: These days it’s all about kids, but I’ve practiced a lot of different yoga styles and even taught yoga for a couple years, so I enjoy practicing when I can. I got into boxing and kickboxing in my early 20s, and train in a number of other martial arts. I love to read and have a strong interest in eastern medicine and homeopathy. I’ve traveled to Japan to watch baseball, drank Ayahuasca and spent the night in the Amazon jungle in Peru, talked my way backstage at concerts, and jumped off a 50-foot cliff into a pond to impress a girl that eventually became my wonderful and amazing wife. I have a deep sense of adventure and I try to stay active and create worthwhile experiences when I’m not in lawyer mode. Q: The legal profession, like life, has its share of ups and downs. Tell us about some of yours as a lawyer. A: Real estate closings are very satisfying—there is typically no conflict, the transaction is usually completed in a month or two, and buyers and sellers are usually very happy when it is done. I enjoy watching the look on a client’s face when they are handed the keys to their new home. I also defended a multi-million dollar breach of lease claim that was one of the first trials I participated in, and we won the case on the simplicity of my closing argument against one of the most reputable attorneys in Illinois. I’ve also had the opportunity to do some work for professional athletes that I have known for years, and other sports celebrities that I looked up to as a kid—it is amazing when one of your own role models trusts your advice and counsel. On the downside, I had personal difficulty with some of the criminal cases. I would see an individual who had no chance at a stable life or job, an addict who didn’t know where to turn for help, or a gang member who knew no other life, and it would eat at me. 2 cases in particular where I felt my clients were clearly innocent were some of my most difficult cases because of the extreme advantage of the state. I’ve since minimized criminal work, but there was a time when I questioned whether to continue practicing. I endured and focused more on the areas that were satisfying to me while venturing into an idea I had for software focused on sole and small firm practitioners. In conjunction with others, we raised funds, built out the software, created a startup technology company, and acquired a patent. That project has huge potential and will soon launch publicly. Q: What practical pointers would you give to a new attorney in terms of to-dos and not-to-dos? A: Don’t be afraid to say no. Whether it is taking on a particular client that you are not comfortable with, or exploring an ill-advised course of action, saying no is empowering. As a sole practitioner, it’s difficult to say no when business is slow, and there has been times when I’ve felt forced to take anything that comes my way. But with experience comes a sense of trust that change is constant and business will improve, and it inevitably does. Work smart. Being Armenians, the ‘hard work gene’ has been passed down through the generations. My great grandfather landed in Chicago from Aintab in the early 1900s, worked hard as a tailor, worked hard to learn English, worked hard to understand the new culture, but he also worked smart—he invested in real estate and eventually built a very successful dry-cleaning business. It’s not always about the number of hours you put in, but the quality of those hours that can make the difference. Always be civil and respectful, even when the other side is not. Attorneys are part of a unique guild that has an influence in every aspect of our daily lives. How you treat others, especially members of your own guild, reflects on attorneys as a whole. Take care of your health. It’s taxing on our bodies and minds to deal with other peoples’ problems day in and day out, aside from dealing with our own. Your emotional, spiritual and physical health are all integral components to being good at your work. Laws can easily be taken advantage of, and I frequently ask myself what I should do as opposed to what I could do. Having been a solo practitioner for 5 years and having practiced for almost 15 years, I’ve found that it’s very important to set your own boundaries. As much as society and technology promote the idea of unlimited accessibility, it’s critical to have your own set of guiding principals and to strike a work-life balance through hobbies. Q: Do you have any thoughts on the real lawyer-life application of judicial externships? A: Law is the foundation upon which society functions, and to see a courtroom operating, which, in criminal cases is to see humanity in its most vulnerable state, instills a respect for due process. A legal education does not prepare you for the practicality of lawyering and regardless of what type of law you choose to practice, a judicial externship will provide a frame of reference on how to conduct yourself in the profession. A: My mom’s parents were both born in the U.S., but both sets of my mom’s grandparents were from Aintab. And my dad’s grandparents came to California from Kharpert. My dad’s mother was 100% Sicilian and his father Armenian, and my mom is 100% Armenian. My grandmother is 92 years young and in great health, and an average of 20 relatives are at her house every Sunday without fail. Q: Does your Armenian ethnic heritage affect, positively or negatively, your practice of law? A: Both! Work ethic, especially amongst self-employed Armenians, is 110%. We bend over backwards for our clients, frequently at our own expense. 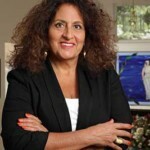 As a result of being Armenian, I connected with Professor Ann Lousin, a distinguished attorney with an amazing career who doesn’t have a boring bone in her body. My first job out of law school was thanks to another Armenian—I had always worked with relatives and working for Harry Missirlian was like working for family. The Bar Association and the connections I have developed within are solely because I won a genetic lottery! The mere fact that I’m Armenian means that I have an inherent national and international network of attorneys and other service professionals that I wouldn’t hesitate to call on if needed. Q: Beyond, law, what does being an Armenian mean to you? A: It is something that you cannot put into words. Armenians have this unique bond of genocide, of incomprehensible victimization. There is a certain kindness and compassion for one another simply because we all share variations of the same story. As a result, we identify and relate to one another and there is an unspoken comfort level, almost as if we all grew up together regardless of how well we know each other or whether we have even met face to face. It is a beautiful connection that we have. Q: What has been your involvement in the Armenian Bar Association and what do you see as the attributes of membership in the organization? A: The association is a solid group of accomplished professionals of which I am humbled to be a part of. I am an active member of the organization, regularly attend meetings, and am part of the Midwest leadership and contribute efforts to the annual event we host for the Vicken Simonian scholarship fund. When I first started going to annual and midyear meetings in the early 2000s, I recall the presentations focused on particular areas of law and practice procedures, such as criminal or immigration. As the association evolved, I witnessed this incredible shift into heavy discussions on very specific, global issues that, if changed, will immediately impact millions of lives. The issues of genocide, human rights and property rights are being approached from new and creative angles and members are taking substantive action. We will soon have some momentous successes and I am proud to be associated. This interview was done by Andrea Mansourian, who is a student at the John Marshall Law School in Chicago, IL. Q: How did you decide you wanted to be a lawyer? A: All I ever wanted to be since I was young was to be a lawyer just like my father. My father was a litigator who tried criminal and civil cases and was an amazing trial attorney. Around the time I began law school, he started taking on transactional work. Q: Where did you begin your career? A: I went to Suffolk University Law School in Boston. I actually graduated law school midway through the year because I took a semester off to teach racquetball. By the time I graduated, my father was working in real estate and he had me starting out doing title work and real estate closings, but I really wanted to work in the courtroom. I ended up joining the bar advocate program. Clients began to call me to work on probate and family cases since there were not a lot of female litigators at that time. A lot of my early opportunities felt like they occurred by chance. But once you get your name out there, people reach out. Eventually, I had an opportunity to work some high-profile cases. I was able to create my own path and take on certain cases that I may not have had an opportunity to work on if I was working at a big firm. Q: How has the legal field changed since you entered it? A: The development of technology helped change the legal field. I am a small-town lawyer, and when I began practicing it was tough for me to compete with big firms that have more resources. In those days only the bigger firms had the technology, so having to do research with books in a library and typing pleadings on a selectric typewriter or word processor made it difficult. In those days, we also had the motion session in Massachusetts, and that is gone today. But it was a wonderful opportunity to be in court on a regular basis and hear great lawyers (and also some not so great lawyers) argue motions. It was also an opportunity to meet other lawyers and learn from their advocacy styles. In Massachusetts, there are not regular motion sessions because the rules emphasize more of a practice on the pleadings. Q: Can you speak about the Haverhill Golf and Country Club case and why the case is so important? A: The case involved a club in my own hometown and was about a group of women who were discriminated against when they applied for a full membership to the Haverhill Golf and Country Club. The women who applied were put on a waiting list, but men who had applied after them were being admitted to membership over the women. I met with about twenty women, and ultimately there were nine plaintiffs in the case. I started working on the case in 1995, it went to trial in 1999, and was finalized in 2003. The case received significant press and when the verdict came down, I heard from country clubs from all over the country, and even a club in England. Other clubs were inquiring about bylaws and the permissibility of certain practices. When the case began I did not know what to expect, and frankly, until after the verdict, I did not realize the impact it would have. The case was about stopping women from being treated as second class citizens. Q: What is one challenge you faced in your career and how did it make you a better attorney? A: My goal was to litigate like a big firm litigator despite being a small-town lawyer. I also wanted to be able to approach each case the same way – whether it was a big or small case. The challenge was, in those days, to be confident as a female in a primarily male arena. I wanted to be accepted into that arena, not as a female litigator, but just a litigator. When you feel more confident, that is 90% of the battle, and even when you are not confident you should act like you are. Also, if you are not a little worried or scared – get out – because something will go wrong. Q: What is the best advice you ever received regarding the practice of law, and what advice would you, in turn offer to new practitioners? A: My father always gave me the best advice. I remember whenever I had to go into office to discuss a matter, he would say to me “I am from Missouri, show me!” He taught me to be prepared before approaching a situation. And that would be the same advice I would tell someone nowadays. Q: What legal organizations did you get involved with, and how did serving in leadership roles in those organizations contribute to your professional growth? A: My father encouraged me to join as many organizations as I could. Joining legal organizations gives you an opportunity to meet a lot of people who may be able to help you and answer questions. If you establish rapport with other attorneys or opposing counsel you can get more done effectively. I originally became involved on the Essex County bar leadership team eventually becoming its President, then became President of the Massachusetts Academy of Trial Attorneys, and then served as President of the Massachusetts Bar Association. I do not know how any lawyer can make it through this profession without getting involved and expanding your network – you make contacts, find clients, and learn from others. Q: Who are your role models and how have they inspired you? A: My father is my number one role model in this profession, and every day I aspire to be like him. My father was proud to be a lawyer every second of his life. I remember watching one of his last trials. He was such a natural and he knew how to relate to people, and thus the jury. He helped people and that is what I wanted to do. Q: What role does the Armenian Bar Association play in the advancement of the legal profession and in the community at large? A: The Armenian Bar Association creates a community voice and that allows others to take notice. When I started practicing, there were not a whole lot of Armenian trial lawyers who were women. Technology has allowed us to connect and network with Armenian lawyers around the county. The Armenian Bar Association advances not only the legal profession, but the Armenian community as a whole, and you cannot do that without a cohesive organization. A: I know just by the oral history of my family because a lot of the records were lost. I remember when I was a child we recorded my grandparents talking about their parents and families. We sort of trace our roots back to the early 1800’s. My grandparents came here to escape the massacres. One of my grandfathers literally escaped on foot with one of his sisters and a nephew after seeing members of his family killed. It took him four years to make it to America. Q: What does being Armenian mean to you? A: Just being Armenian completely defines me and I grew up with the utmost pride in my heritage. Armenians have a rich and ancient history. As Armenians, we look out for one another. 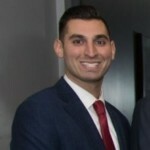 This interview was done by Gregoire Ucuz who is a fourth-year evening student at Suffolk University Law School in Boston, MA. Q: You are considered one of the founding members of the Armenian Bar Association. What was your involvement in the early beginnings of the organization? A: I met Raffi Hovannisian – the founder of the Armenian Bar Association – at a party in New Jersey in 1989. He told me about the Armenian Bar Association and that he hoped I would attend the first meeting, which took place in January 1990. I did attend and was honored to be elected to the first Board of Governors with David Balabanian as the Board’s first Chairman. Q: What were the original goals of the Armenian Bar Association and could you describe the growth you have seen within the organization? A: There were interesting times in the early years of the Bar Association as we sought to find our way to accommodate the initial goals that were laid out. Raffi wanted an association that brought together Armenian practitioners throughout the country and beyond. I always thought that much of the impetus for formation of the Armenian Bar Association was to assist the many immigrants from Armenia and the Middle East that settled in California, many of whom were not English speaking, and to assist them in adapting to their new country and the legal hurdles that many of them faced. At the initial meeting there were attorneys from the east coast and west coast, as well as Belgium and Canada. We discussed at length what we thought the goals of the Association should be and all of that ultimately formed the direction that we initially took. With the independence of Armenia in 1991, the focus of the Association’s efforts expanded and included the providing of education materials and assistance to the new republic in helping it establish its constitution and rule of law. The Association continues to evolve, improve and expand its role both as a bar association and as an active member of the worldwide Armenian community. Its achievements are attributed to the dedication of its very active members who stand up to protect the legal rights of attorneys and the issues affecting the Armenian people, not only in the United States but worldwide. Q: Upon completing your studies at George Washington University, what was your first paid job? What lead you to practicing commercial real estate and corporate law? A: My first job out of law school is the same one I still have; I joined Winne Banta on September 9, 1968. 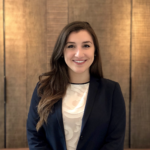 The previous summer, after completing my second year of law school, I worked for Winne Banta as a clerk, now known as a summer associate, and at the end of that summer I was offered a job when I graduated. My starting salary was $8,000 per year, which I accepted. New York was paying $10,000 per year, and I felt that my preference would be to remain in New Jersey, where I was born and raised, rather than commuting to NYC. When I was about 18 years old, I had seen the movie “The Young Philadelphians” with Paul Newman, who played the role of a tax attorney. By the end of the movie, I knew I wanted to be a tax attorney. While I took all of the tax courses I could in law school, I had an equal interest in real estate law. My father was a surgeon but also a builder, and as a boy I would listen to him and his partners talking about their projects and knew what amortization was long before I knew how to spell it, so the natural segue ultimately was in real estate, which evolved into land use planning, commercial real estate development and finance, as well as corporate work, all of which had the element of taxes. My tax background enabled me to assist clients in the structuring of entities from both a real estate and tax perspective. Q: Could you discuss the efforts that were involved in you reaching the commendable status of Managing Partner of this prestigious firm? A: When I started at Winne Banta Basralian & Kahn, I was the youngest attorney and 50 years later, I am the oldest of the attorneys in our firm. My goal was not to be Managing Partner, but like many things in life, it evolved. I was always interested in construction, and as we renovated our offices and increased the size of them over the years from a modest 3,000 square feet to over 19,000 square feet, I handled all aspects of our office, including two major moves as we expanded from a 7 person firm to our current 35, with a total of 65 employees. With the untimely death of our Managing Partner in 1983, my role in the firm expanded to include preparing the annual budget, overseeing health benefits and insurance, and mentoring young attorneys in the real estate field. In 1991, we had several attorneys leave the firm which required some restructuring, and as a result, I went from de facto Managing Partner to the Managing Partner. The early 90’s was a particularly stressful time because of the economy and my efforts were focused on building our practice and the firm, while at the same time expanding my business base. By the mid 1970’s, my practice was growing in real estate, including land use and municipal law. In 1974, there was a substantial downturn in the economy and our major banking client needed in-house counsel for a month to oversee its national mortgage portfolio until new permanent counsel could be hired. As a result, I became special counsel, vice president and secretary of the mortgage division, while at the same time, maintaining my burgeoning practice. I spent 8 hours a day with the mortgage division and almost an equal amount of time in my own practice while traveling extensively to negotiate workouts and retaining local counsel to handle foreclosures where necessary. Fortunately, both the mortgage company and our offices were in the same building and I was able to balance both sets of activities. That one month expanded into a year, but as a result, our firm became the bank’s primary outside counsel, handling its loan activities and workouts and new loan representation and compliance work. Our firm had handled the formation of the bank’s holding company in which our banking client was the lead bank, and thus, I was involved in handling the multiple acquisitions by the holding company, which included compliance with the Blue Sky Laws of the many jurisdictions in which the banks were located, and to handle the listing of the holding company on the New York Stock Exchange. Others in our firm did the actual formation of the holding company and compliance with all of the SEC requirements which that involved. The combination of my real estate background and the experience gained by working on the holding company formation enabled me to segue into representing corporate clients, not only in real estate but in other aspects of our clients’ businesses. Q: What do you consider your greatest accomplishment as an attorney? A: I think it was being part of growing our firm and being a practicing attorney, and I could not conceive of working in any other profession. I have enjoyed every day of my life as an attorney, and while there can be stress-filled days, I have never gotten up in the morning and said I would rather be doing something else. Q: What is the best advice you ever received regarding the practice of law? Q: What advice would you give to a young attorney entering this profession? A: I would, of course, always counsel to be honest and forthright, diligent in approach to his work, be prepared and be responsive to your clients’ needs, calls and emails. Approach your work by being prepared and do it all with enthusiasm because it is infectious, in the good sense. Lastly, keep your anger in check and replace it with calm, and never make enemies of other attorneys as the world is round and it may well come back to haunt you some day. Q: In 2010, you were awarded the Ellis Island Medal of Honor, what did achieving that award mean to you? A: It is fitting that the ceremony for awarding the Ellis Island Medal of Honor is held on Ellis Island where hundreds of thousands of immigrants passed through its gates. The award is given to members of various ethnic groups, and I view it not as an individual achievement on my part, but recognition of what those groups contributed to the American society and continue to do so and work toward the common good of the United States. Q: What other charitable organizations are you involved with and why? A: I served on the AGBU Central Board, as well as the Armenia Fund Board, both for a number of years. It was an opportunity to be more involved in the Armenian community both within and outside of the United States. The history of AGBU speaks for itself and its hundred plus year service to the world wide Armenian diaspora, as well as Armenia, has made an incredibly positive change in the lives of so many. Armenia Fund focuses its attention to the projects in Armenia, such as roads, waterlines, schools and basic infrastructure. I also serve on the Board of the Winifred M. & George P. Pitkin Foundation formed by Winifred Pitkin. Both she and her husband were physicians, and while there were no specific directions in the Foundation formation documents as to focus of its contributions, the Trustees have focused primarily, but not exclusively, on medical education, training programs and education broadly. It does not contribute money for bricks and mortar since the Trustees feel that the contributions are better suited to actual educational agenda and charitable endeavors. I also serve as a member of the Board of Trustees of Bergen Community College Foundation, whose efforts are directed toward scholarships. Bergen Community College is the single largest community college in New Jersey with over 16,000 matriculated students and is the #12 nationally ranked school out of 2,500 community colleges in the United States. I have also served on the Northwest Bergen Heart Association Board, among many others. Q: Who were your role models? A: Perhaps it is cliché-ish to say, but my father and my mother were both exemplary role models. My father arrived in this country in 1920 just before his 19th birthday with less than $100 in his pocket and no education. He worked as a tailor, and 13 years later graduated from the University of Vermont School of Medicine. My father always told his six children that if we worked hard, we would be successful. He omitted to tell us that there are a lot of pitfalls along the way, but working hard, more often than not, does achieve the desired results. My mother, who was the daughter of immigrants from Diyarbakir, worked in order to attend New York University from which she graduated in 1935. My other role model was Winston Churchill, not because he led an exemplary life, but more so for his courage, strength and leadership that took Britain from the brink of disaster at Dunkirk to victory with the Allies in both Europe and the Far East. His logic and eloquence of his public speaking and the war years gave courage to all Brits. It was Edward R. Murrow who said in speaking about Churchill that “he mobilized the English language and sent it into battle.” It was his words and leadership that gave the people of his country the power to overcome the adversities that had afflicted them since 1939. Q: What makes you a proud Armenian and proud of your nationality as a whole? A: I am proud to be both an American and Armenian – the former because it is the nation of my birth, and it has given opportunity to everyone who strives to improve himself. As an Armenian, we have much to be proud of since our heritage goes back 3,500 years. We were the first nation to accept Christianity, and we are generally hard working and diligent people who put their heads down and move forward. So long as we do not define ourselves as victims of the genocide, then we can look to the future for the survival of our nationality and Armenia. This interview was done by Steve Gokberk who is an associate of Salenger, Sack, Kimmel & Bavaro. He practices plaintiff’s personal injury and medical malpractice throughout New York State.